A storm is forecast to bring drenching rain along a 1,500-mile-long swath, including areas in drought and experiencing dangerous wildfires, in the southern United States, spanning late this week to early next week. 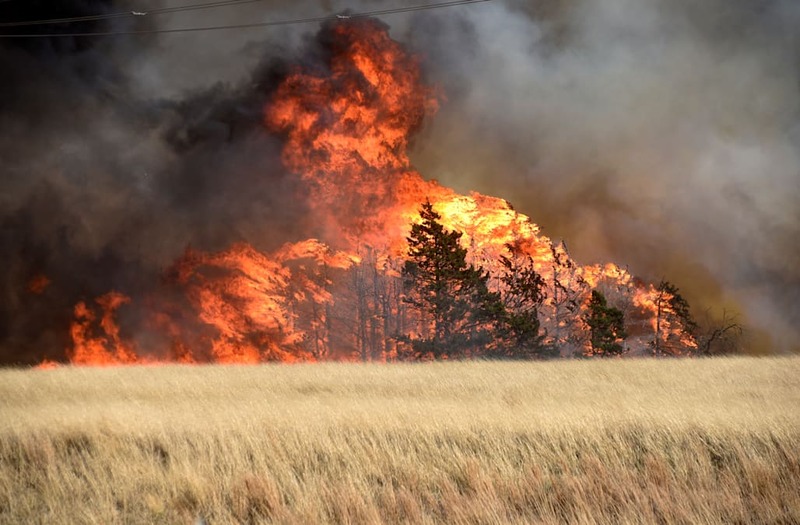 As of Thursday, large active fires had consumed more than 460,000 acres over the southwestern and south-central U.S., according to the National Interagency Fire Center. The Rhea Fire burning in western Oklahoma has charred more than 283,000 acres alone, according to Inciweb. As of Thursday afternoon, it was only 15 percent contained. However, this winter, mountain snowfall in the region has been less than 50 percent of average in many areas. Rainfall outside of the mountains has ranged from 5 to 40 percent over the southern High Plains since Jan. 1, 2018. During the last part of this week, the southern storm will bring much needed rain to at least part of the region. Rainfall is not expected to be earth-shattering, but 0.25 of an inch to 1.50 inches of rain over a large swath will not hurt. The swath of rain from the storm will continue to move eastward over the weekend and into early next week. As the storm moves along, it will draw more moisture from the Gulf of Mexico and later the Atlantic Ocean. The forward speed of the storm may also slow. Rainfall amounts are forecast to increase along the way from Saturday to next week. Rainfall from parts of central Oklahoma and northeastern Texas to Louisiana and central Arkansas may reach 3 inches in some locations through Saturday night. Farther east, rainfall may approach 5 inches from portions of Mississippi, Alabama, Georgia, Florida and South Carolina from Sunday to Monday. The rain may also end the risk of brush fires and put a significant dent in the abnormally dry to severe drought conditions form parts of Florida to Georgia and South Carolina. The same storm may turn northward and slowly spread rain across the Northeastern states during the middle of next week.